Uploaded on 10 April 2013 by peter van runt I woke up this morning to a vision of “chaotic energy”, and realised that it was only the brain that perceived the energy of the universe as chaos. The energy of the universe dances in perfect “order” and harmony, but do WE? 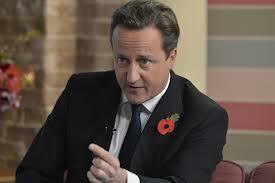 Cameron on the ITV sofa…defending gays or covering for paedophiles?